The Lone Star State is known for cowboys and sprawling metro areas, business-friendly regulations and welcoming folks with country drawls. Houston represents the best Texas has to offer. Not just in area … though it spans over 10,000 square miles. Not just in population … though with six million people and growing, this city is primed to become the third largest city in the United States. Not just in industry … though Houston is home to America’s largest gas and oil industries and a major player in the medical, tech, shipping, and retail industries. Houston is a HUGE market for real estate, with home sales and inventory continuing to increase. In 2017, Hurricane Harvey hit with a vengeance, causing swaths of destruction across the city. But Houston has proved to be resilient to natural disasters. The city rebuilt quickly, and mere months after the storm, both home prices and home sales were up over the year before. And with innovative infrastructure and city planning projects in the works, Houston is set to be prepared for future natural disasters. The city is also resilient to economic downturn … home prices recovered to pre-recession value by 2014, compared to markets like Phoenix, which in 2017 are still rebounding. Infrastructure. Boasting the George Bush Intercontinental Airport, four major interstate highways, and an innovative development plan, Houston is poised for further growth. Industry. Houston is known for its role in the gas and oil industries, but that’s not all it has to offer. The city is home to many growing sectors, including aviation, manufacturing and technology, medical and biotechnology, shipping and distribution, and clean energy. More than 20 Fortune 500 companies call the city home. Jobs. The city has shown remarkable job growth in many key industries, including professional and business services, health and education services, manufacturing, and clean energy. The lack of state income tax only serves to draw in more new workers. Educational institutions. Houston is the proud home of four state universities, with 60+ colleges and trade schools total. Medical and research facilities. The Texas Medical Center is the largest life sciences destination in the world. The city is also home to the Texas Children’s Hospital, the No. 4 children’s hospital in the nation, as well as dozens of other major medical institutions. Culture. Houston’s cultural and arts events draw 9.2 million visitors each year. Houston alone has more than 500 museums and institutions devoted to the performing and visual arts, science, and history. The Houston Zoo is the No. 1 attraction in the city. Green space. Among the top 10 most populous cities in the U.S., Houston ranks first for park acreage. It offers more than 300 miles of bike trails and is one of the nation’s greenest cities. Neighborhoods. 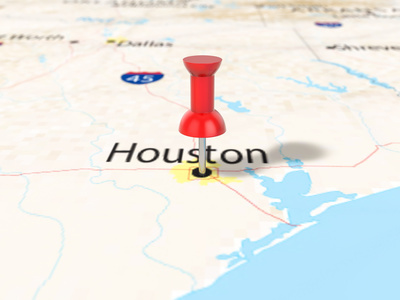 Houston has dozens of distinct neighborhoods, including its bustling downtown, museum and medical districts, and the retail-packed Galleria and uptown areas. The city offers both shiny A-class buildings and a wealth of affordable and stable B-class housing and retail spaces. Affordability. Houston ranks first in the nation for cities where the average resident’s paycheck will stretch the furthest. With its resilient economy and infrastructure, Houston shows no signs of stopping. 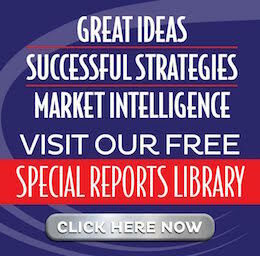 This market is likely to continue to be a major center of growth for years to come.